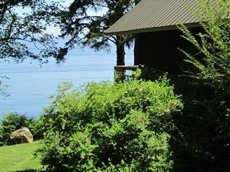 If you are looking for a quiet, peaceful, place to get away from it all, look no further than this secluded waterfront vacation home on the Strait of Juan de Fuca, near Sekiu, Washington. This rugged and beautiful part of the Northwest Coast is located just 35 miles from Forks, Washington, home of Twilight, and about 20 miles to the trailhead for the remote Shi Shi Beach, considered one of the best wilderness beaches in the world with its amazing tidepools, stunning seastacks, and the Point of Arches. Cape Flattery, the most northwestern point in the continental US, (the beginning of the world), is also close by. 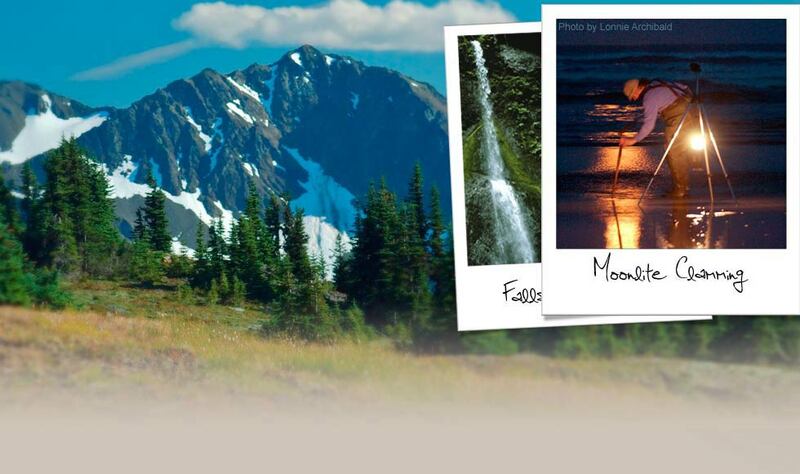 Our little piece of paradise is a great jumping off spot for visiting all points of the Olympic National Park, whether you want to soak your cares away at Sol Duc Hot Springs, or visit the giant and ancient moss-covered trees of the Hoh Rainforest. We’re close to the Sol Duc River, world famous not only for steelhead and salmon, but now as the home of the Cullen family. Just want to relax? Sit on the deck of this well appointed home and watch the ships go by, eagles soar overhead and whales cruise the coastline. And nothing is as wonderful as the cool, fresh air, and the sound of the crashing waves. A truly special place.